Congratulations to Alecia Simmonds on winning the Davitt Award for Non-fiction at the Sisters in Crime gala dinner on Saturday 27 August for her debut book, Wild Man. 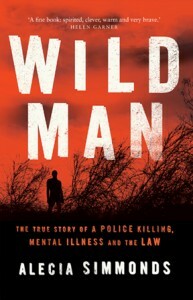 In Wild Man, Alecia Simmons follows the coronial inquest into a police killing of a man who, mentally unhinged and high on drugs, ran amok at a hippie festival in New South Wales and threatened festival-goers with a hunting knife and crossbow. When a husband-and-wife team of police arrived, they tried to subdue the man but ultimately fired fatal shots. In a powerful and compelling narrative, Alecia Simmonds reveals a web of issues entangled in this fascinating, bizarre and tragic case that cuts to the heart of many challenges facing contemporary Australia: mental illness, drug use, cultural clashes, toxic masculinity and violence. 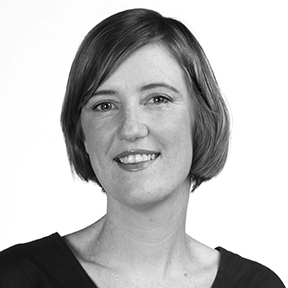 Alecia is currently a postdoctoral fellow in law at the University of Technology, Sydney, a background which helped her take this incredibly challenging and complex case and shape it into a spectacularly clear-eyed examination of Australian society. Congratulations Alecia and all winners!